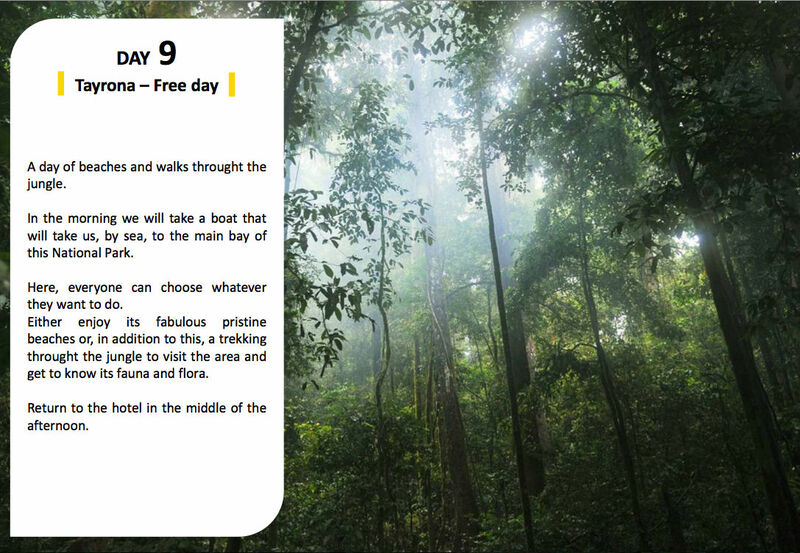 A trip to satiate your five senses. This country, still unknown to many travelers, hosts an enormous diversity in its many facets. History, culture and gastronomy. Small group of 5-6 people maximum. This country, located in the north of South America and the gateway to Central America, is cheerful, warm and authentic, the result of a legacy of diverse cultures and ethnic groups. 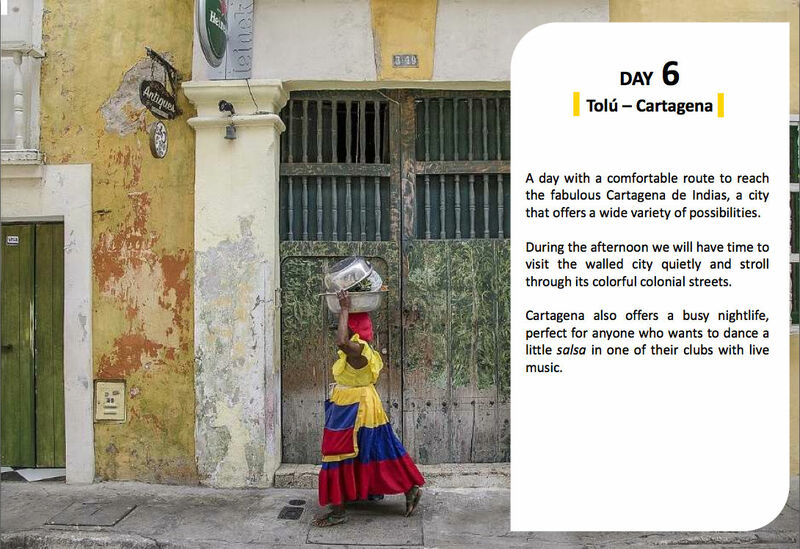 Whoever visits Colombia finds a wide cultural, social and gastronomic diversity. 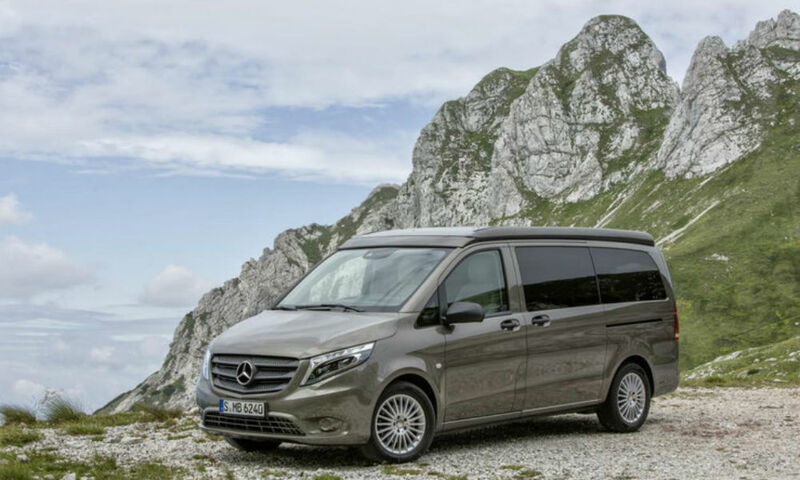 A region that allows you to enjoy its wonderful beaches on the shores of the Caribbean Sea, its fabulous coffee fields, or its gorges and green mountains with dense vegetation, among thousands of other landscapes worth discovering. 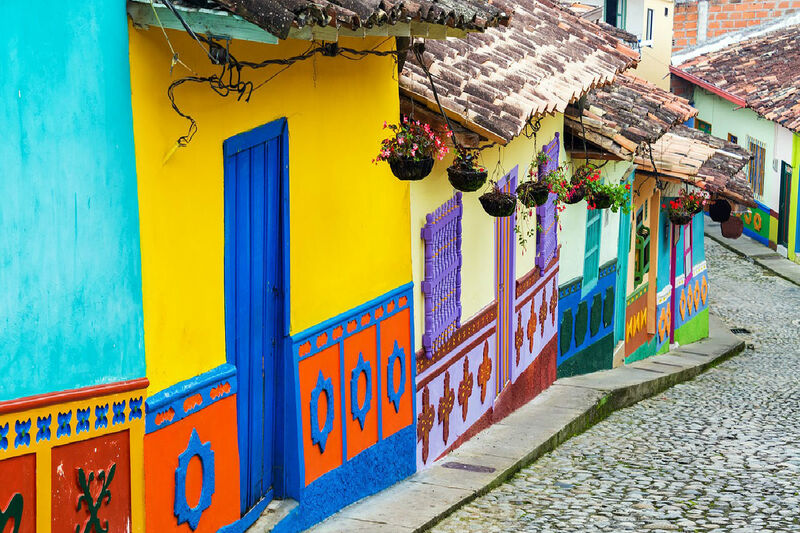 Colombia is still a country unknown to many travelers, but it has given birth to internationally renowned figures such as the writer García Márquez or the painter Fernando Botero. It is the second most biodiverse country in the world, with thousands of registered species, as well as treasuring a diverse gastronomy in each region, with indigenous, african and spanish influence. 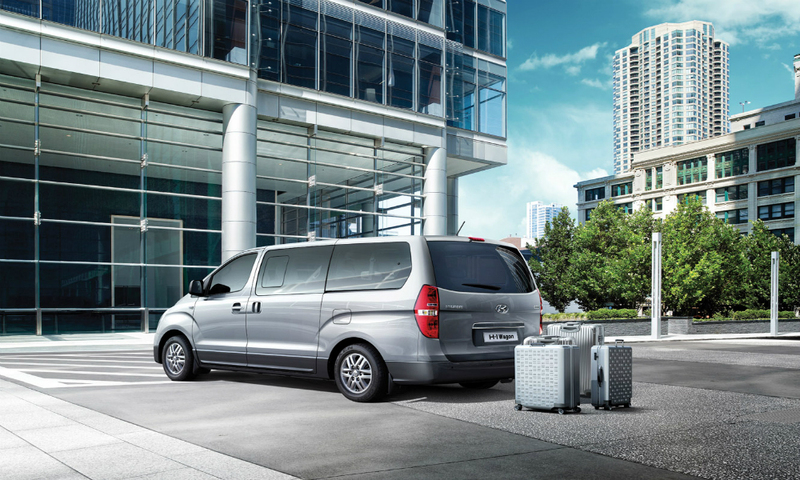 – Guide and driver throughout the whole trip (24 hour availability). 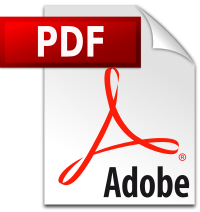 – Activities, excursions and entry fee for National Parks. 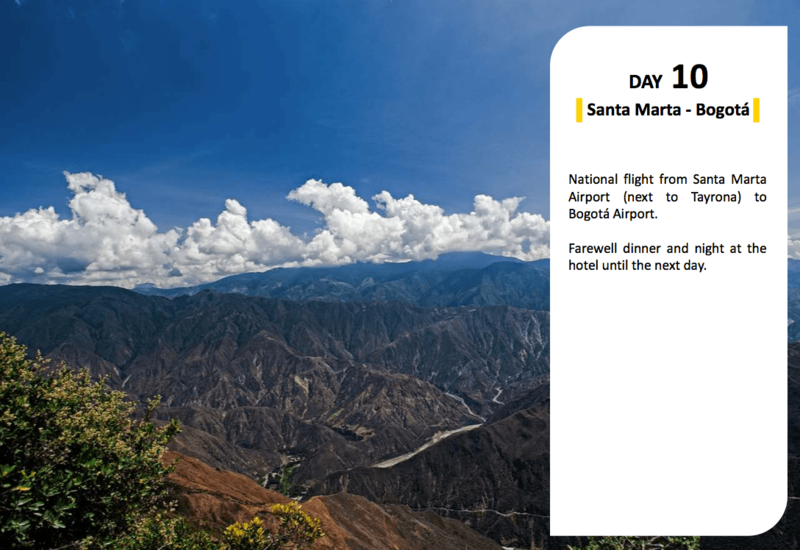 – National flight from Santa Marta to Bogotá (last day). 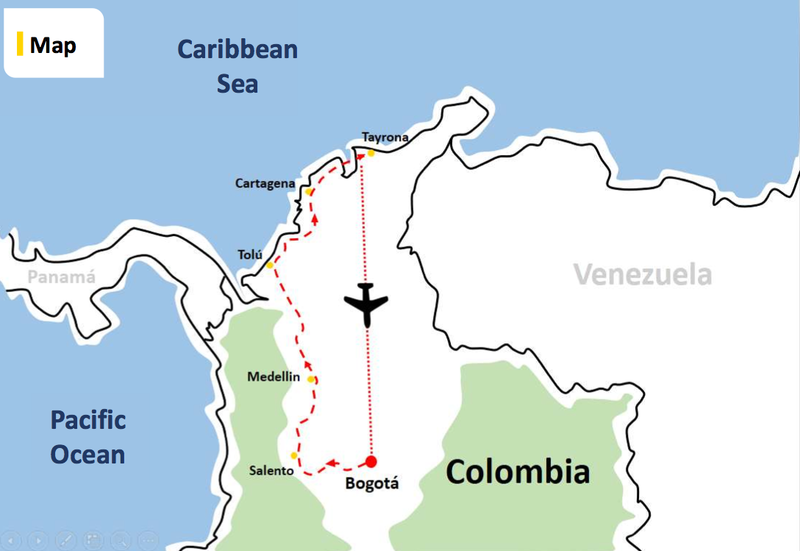 – Gift “Expedition Ruta Colombia”. 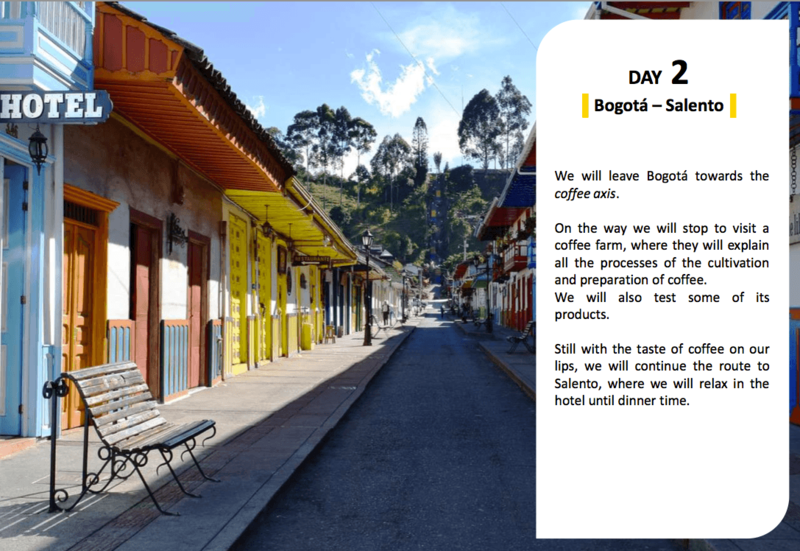 – International flight ticket to Bogotá. * Current passport with validity superior to 6 months to be able to enter Colombia. 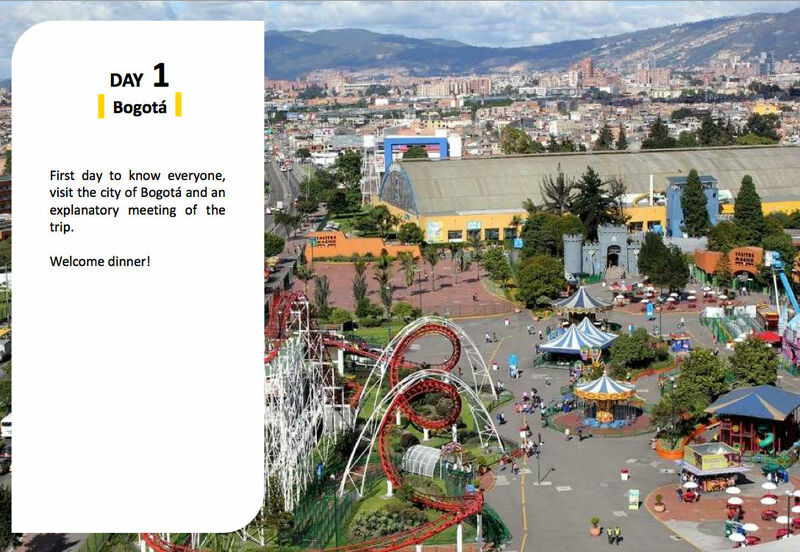 Day 1: Arrive to Bogotá. 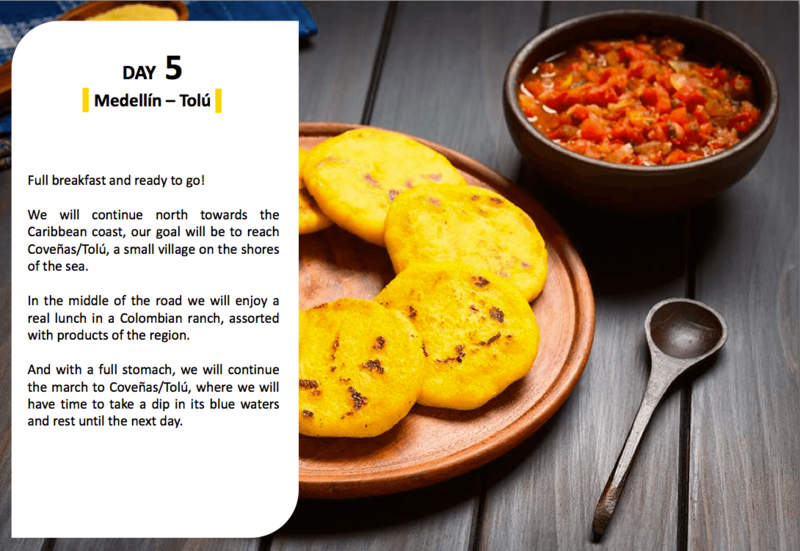 Day 2: Bogotá – Salento. 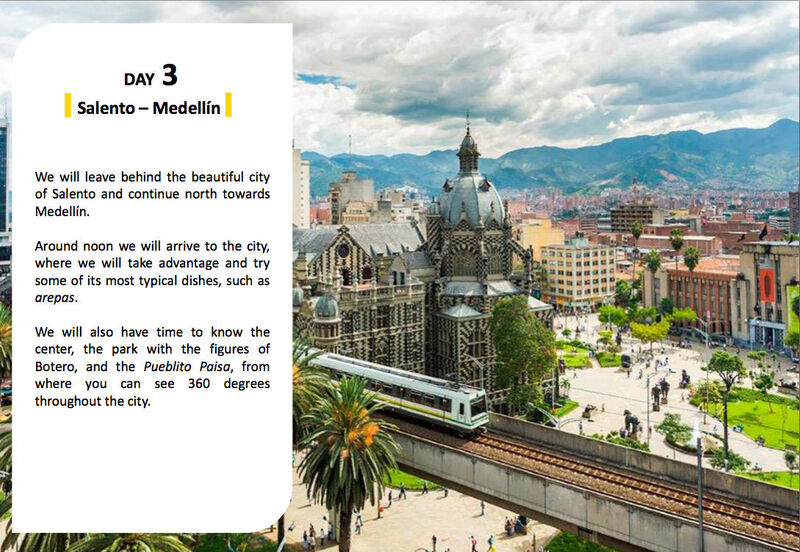 Day 3: Salento – Medellín. 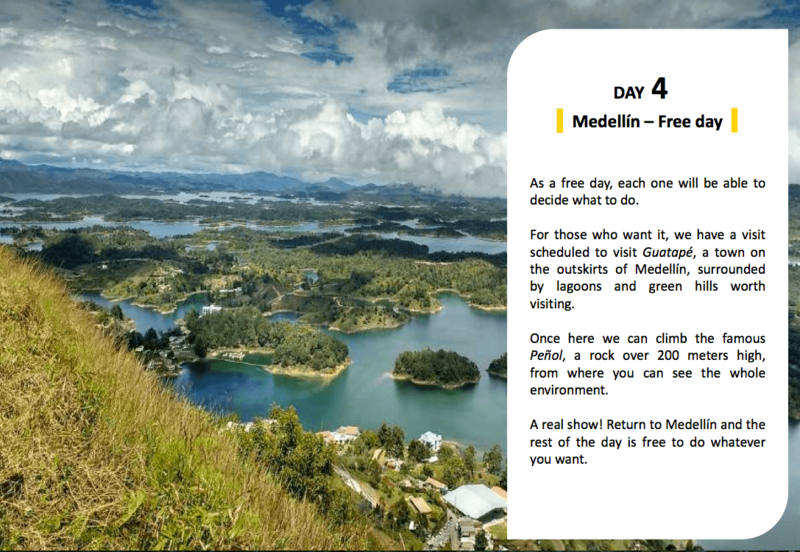 Day 4: Medellín (free day). Day 5: Medellín – Tolú. Day 6: Tolú – Cartagena. 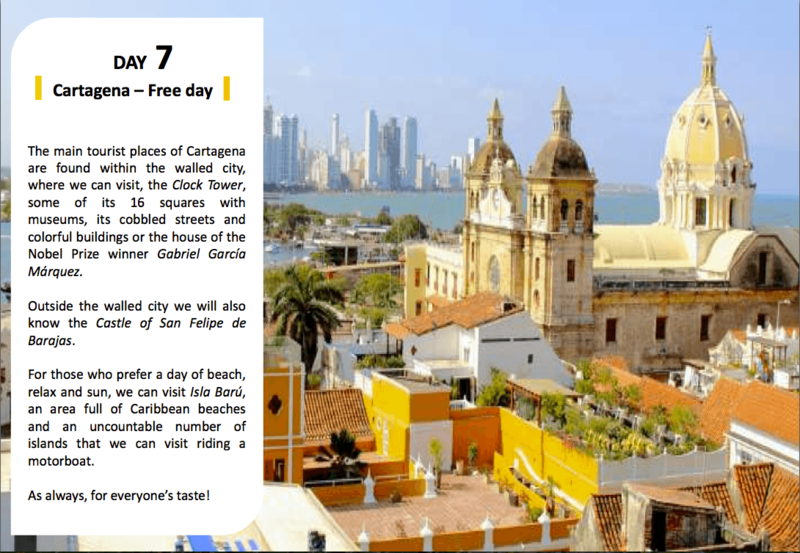 Day 7: Cartagena (free day). 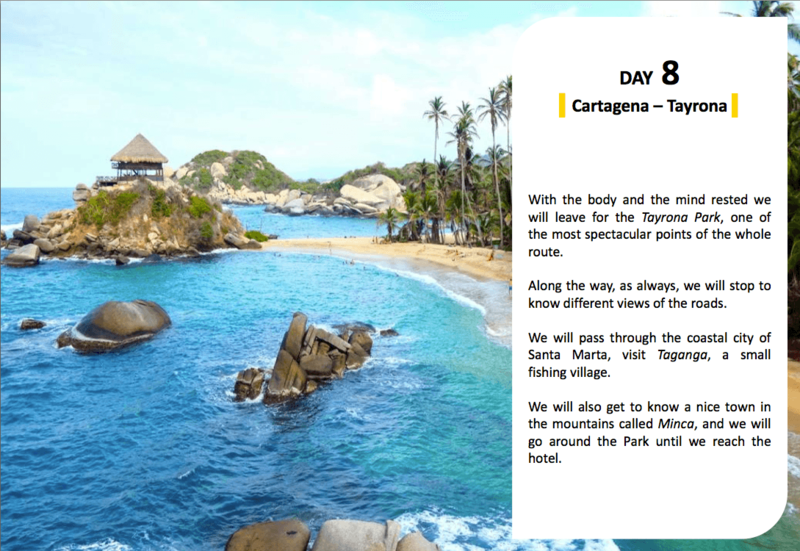 Day 8: Cartagena – Tayrona. Day 10: Tayrona – Bogotá.